Ptarmigan is a 5 star cottage ideally placed in the village of Broadford. It is within easy walking distance of local pubs, shops and restaurants and is set in its own private grounds, just 15 meters from the seashore. 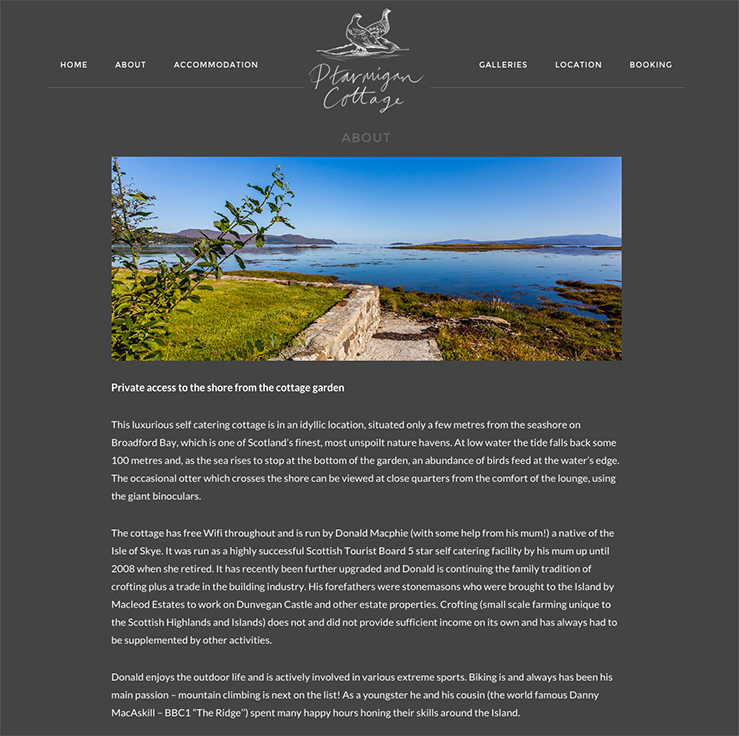 We were approached by the owners of Ptarmigan Cottage in late 2014 to create a website and logo design reflecting the cottage’s shore-side location and breathtaking views. 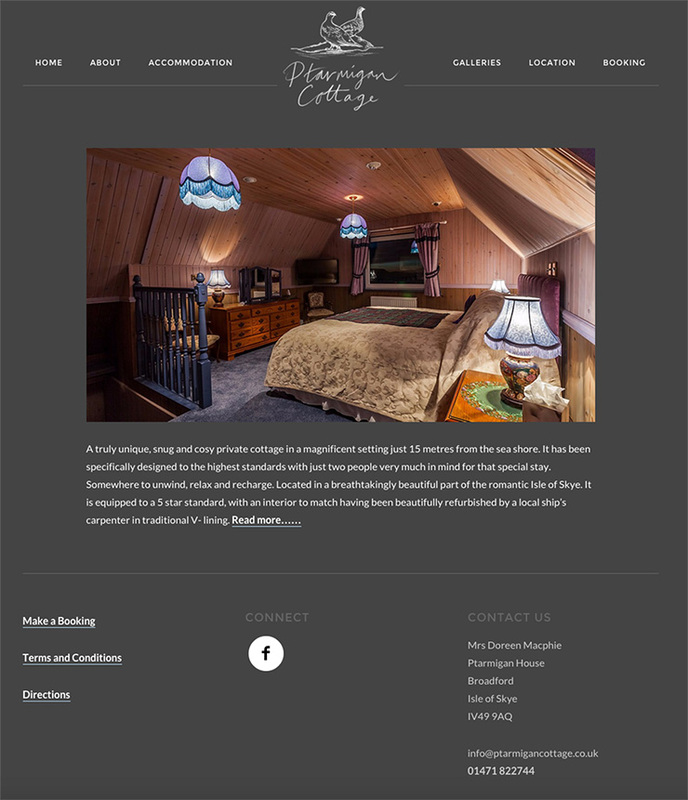 Skye Websites designed an easy to use site using the WordPress content management system. This allows the owners to easily update their website without the need for a complicated web design application. We chose a muted colour scheme to allow the vibrance of the images to emphasise the dramatic views out to sea. The logo design is a white, simplistic line drawing of two Ptarmigans by the shore, a common sight from the cottage. The website is easy to navigate and is fully mobile responsive. Google estimates that if your mobile site is difficult to navigate, there is a 61% chance that visitors will leave. At Skye Websites we insure that every site is fully mobile responsive, structuring the content and imagery on the site to give the best possible viewing experience across a range of different devices, thus appealing to a wider audience.